In the course of a recent operation to liberate a terrorist-held enclave in northern Latakia, Syrian Army troops discovered a 'manual for terrorists'. Printed in Turkey, the book teaches jihadis "the proper conduct of war on foreign soil," up to and including the use of nuclear weapons. The manual, printed in Arabic and called 'Zad al-Mujahed' (roughly, 'Fruits for the work of God's Warriors') was published in Istanbul, with its publishers making no attempt to even try to hide the book's origins. 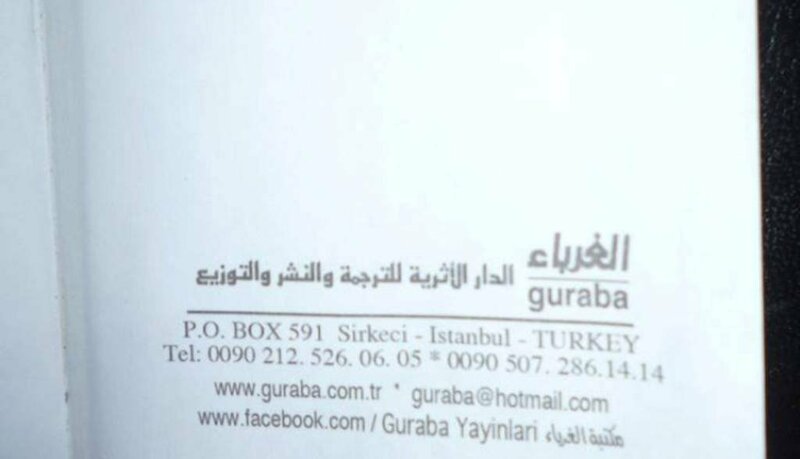 It features the logo of the Istanbul-based Guraba publishing company, contact information, and even an ISBN, inside its front cover. Speaking to Sputnik Arabic, the Syrian Army soldier who discovered the book said that it was filled with hatred and calls to war against people who don't share jihadists' faith, as well as instructions on what must be done with "enemies and their property." "The book describes how to properly burn cities captured by jihadi fighters, how to cut down all the trees, destroy all life, how to execute prisoners in the correct manner," the soldier explained. "The book says that jihadis have a right to marry their captives; the book even mentions the aspect of the possible use of nuclear weapons," he added. The book is banned in Syria for its radical content, and repeated calls to violence and terror. For this reason, Sputnik Arabic decided not to quote it directly. Still, it published photos, republished here, showing the cover and details on the book's publisher. It remains unclear how many copies of this book were found.